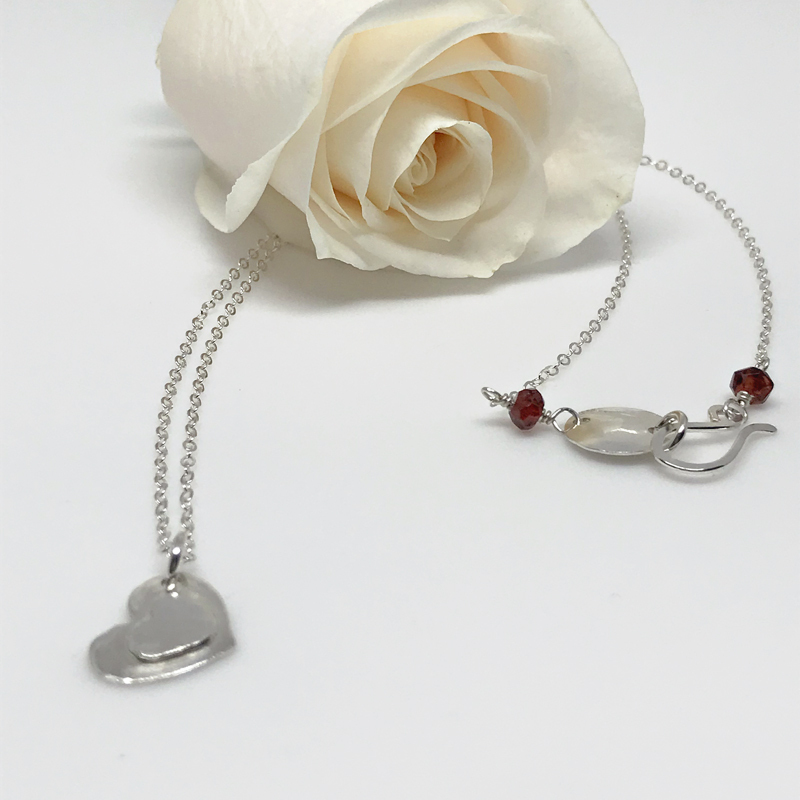 Delicate hearts together as one in this silver heart charm necklace…so feminine and oh so sweet. Solid silver heart charm necklace. Two solid, hand crafted hearts are together as one in this charm pendant. Each heart is hand cut and textured from Argentium silver. For this reason, each heart will have slight variances making each one unlike another. 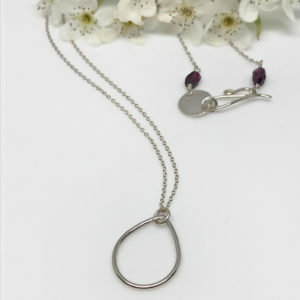 Equally delightful is the delicate silver chain that this heart hangs from. 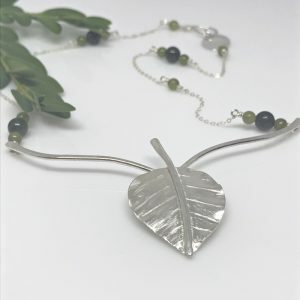 The clasp is also hand crafted. Both are Argentium silver as well. 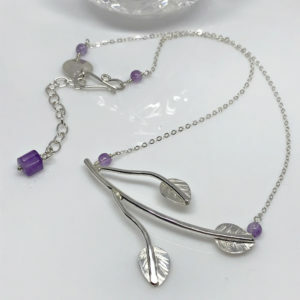 The chain is adorned with ruby gemstones. Ruby’s represent the color of love, how perfect. 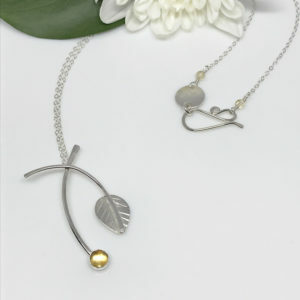 Both silver and gold options are 18 inches in length.